The selection of detached homes in Greater Toronto has made a dramatic increase. Toronto Real Estate Board (TREB) numbers show detached inventory reached a multi-year high in January. Rising inventory combined with the second fewest sales since the Great Recession, helped to drop prices back to 2016 levels. The price of a typical detached home across Greater Toronto wiped out a couple of years of gains. TREB reported a detached benchmark of $903,800 in January, down 0.04% from last year. 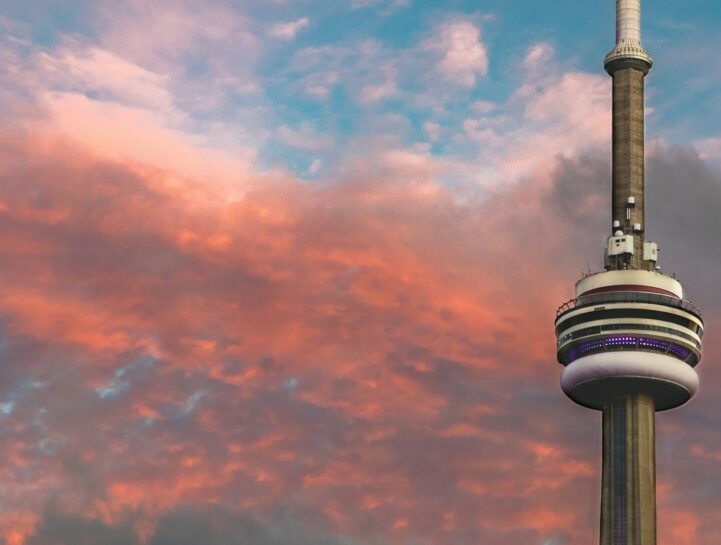 The City of Toronto hit $1,089,100, up 0.77% from last year. Prices in the City are now back to February 2018 levels, wiping out almost a year of gains. TREB prices are doing worse, with the benchmark rolling back to December 2016. The price of a typical detached home across the Toronto Real Estate Board, in Canadian dollars. The annual pace of growth improved in the suburbs, but weakened in the City. TREB’s annual growth rate of -0.04% is better than the month before. However, it isn’t clear that it’s going to emerge from negative growth yet. The City of Toronto’s 0.77% is lower than the month before, but is still positive on a year-over-year basis. Both numbers are trailing CPI, and will likely be adjusted into negative growth. Prices are down 11.31% from the peak across TREB, and down 13.91% in the City of Toronto. The 12 month percent change of a typical detached home across the Toronto Real Estate Board. The median sale price of detached homes showed a similar trend as the benchmark. TREB sales had a median sale price of $810,000 in January, up 0.62% from last year. The City of Toronto’s median came in at $925,000, down 1.59% from last year. Once again, both of these numbers failed to meet inflation. The average sale price of a detached house in the Toronto Real Estate Board. The average sale price of a detached home continued to trend lower. TREB’s average sale price was $941,488 in January, down 3.02% from last year. The City of Toronto average came in at $1,174,134, down 8.55% from last year. The average in the City is down significantly from those in the suburbs. The 12 month percent change of average sale price across across TREB. Detached sales showed an improvement from last year… just not in the City. TREB reported 1,703 detached sales in January, up 2.65% from last year. The City of Toronto represented 342 of those sales, down 9.04%. Sales are higher, but still the second fewest for January since the Great Recession. Last year obviously being the lower since then. Low, but not the lowest – so that’s something! The total number of detached sales, compared to the number of new detached listings per month. The number of new listings for detached real estate saw a big bump. TREB reported 4,862 new listings in January, up 11.13% from last year. The City of Toronto represented 960 of those new listings, up 32.39% from last year. More new listings than sales helped to push total inventory levels higher. Total detached inventory for sale increased across the board. TREB reported 7,087 active detached listings in January, up 3.93% from last year. The City of Toronto represented 1,331 of those listings, up 4.72% from last year. This is the highest inventory for detached homes in at least 8 years. The total number of detached listings available. Greater Toronto’s detached market experienced the second fewest sales since the Great Recession. That combined with a multi-year high for inventory, is relieving a lot of pressure on prices. In fact, it’s relieved so much pressure, TREB’s detached benchmark wiped out two years of gains. May inventory is going to be epic. Last year TREB’s homeowner survey said they were planning on listing in 2018. Since dumb money is usually slow to act on their own investment advice, they usually end up trailing. Wouldn’t be surprised to see last year’s “wanna be seller” rushing into this year’s sellers. I agree with you. Hold on to your hat! Buyers are very strange these days. In my neighborhood (North Central Toronto), prices are about the same as they were just a few years ago. Downtown, I’m starting to actually see prices drop. Are people fleeing in advance of the tower shadows that’ll eventually eclipse their properties? Huh, weird. Why would sales ever go down? I thought everybody on Earth wants to live in the World Class City™. LOL! They do, until they realize the people they were trying to get away from have moved in across the street. A neighbour on my Aurora street, listed in November, has had two price reductions, and numerous deals fall apart on financing. There were no lookers for over 30 days, now this weekend he had a bunch, but offers are now at 2009 prices. Poor soul has five kids and a three bedroom detached home, so he bought a bigger house in October, now he’s paying two mortgages. The Toronto Detached Average Sale Price chart looks like not so much of a dead cat bounce as an oxygen-starved fish flopping around on the beach. Take a lesson from Australia which, to me, is going through something that we might get into eventually. A real time example of just how much credit availability has to say say about things. There a lesson somewhere in that confused mess? That is just a complete misunderstanding of how banks are defending against risks. When people default – banks need to recover losses and prevent future ones and how they are doing that? Exactly they tighten even more and lend more cautiously. Tightening -> Defaults -> More tightening -> More defaults -> etc. rinse and repeat. That usually stops only when local folks are starting to afford buying RE again and reasonable prices and debt levels. Here, in Canada and the U.S., the tightening almost always happens because there is already a mess in the making. On Hot Property last week, I called in and asked how many Power of Sales/Foreclosures are out there. The guest realtor said there weren’t any then laid out a coherent argument that a combination of the Stress Tests and still low interest rates was keeping people in their homes. In the very next segment of the show – and I kid you not – they argued for why the Stress Tests should be abolished. Probably the only measure that is actually saving people from themselves, the TREB wants to get rid of. M.Bury, foreclosures must be on the rise. ‘Keeping people in their homes’ wont help. Negative valuations will cause people to burn their house down. People did terrible things to ‘their’ houses (the banks chattel) across the US is the wake of the financial collapse. I’d like to know what types of deals people are accepting from their current lender because the stress test wont let them change lenders. I have personally seen with my own eyes 30 year amortization at 8.99%. If there’s one, there’s a thousand; and probably just as many at even higher rates. M.Bury that’s a scary thought. Banks are no-ones friend but their own. Such a great article. Looking forward to seeing how it all plays out and how this affects the condo market.